Your first day in a new job will amalgamate excitement, nerves, stress and could perhaps be one of the most memorable days in your career. The job search can be particularly taxing having spent hours constantly retouching your CV and making sure it gets to the right people. Employers have hired you for a reason and have expectations that they expect your talent and skills to adhere to. 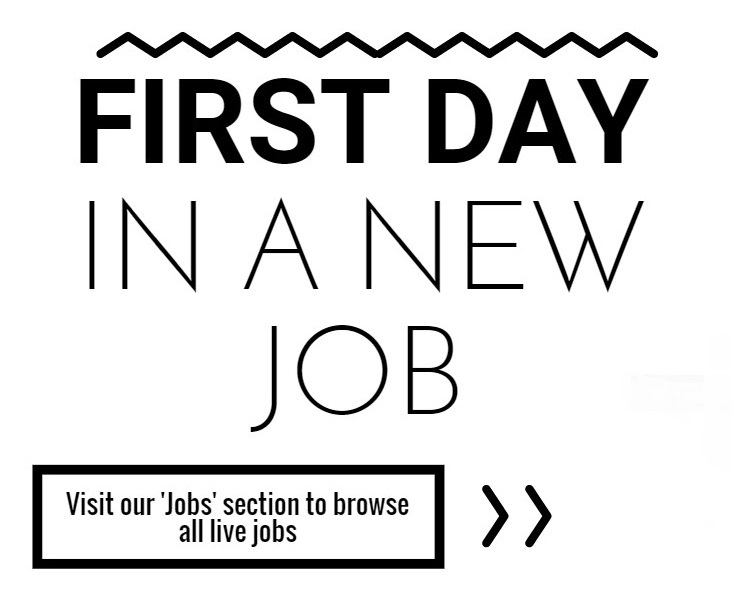 Most of us feel high levels of excitement but also trepidation when we begin a new job. There are ways to elevate some of this stress however by adapting the same meticulous approach in your first day as you did in your job search. The first day sets the tone for the rest of your career with those you’ll be interacting with. While first days are usually consumed in formalities with very little specific responsibilities it is vital to adapt a proactive response to your new role rather than a passive one. Chances are you will be inundated with the same question by new employees. ‘What is your background?’, ‘What did you do before this?’ ‘What exactly will you be doing here’. Often it can be a little overwhelming when people ask outright very specific questions. Considering these will be the people you converse and deal with every day it may often be a genuine interest as they have only been fed a vague understanding and simply want to strike up a conversation. Having a prepared piece will make this process a little less daunting. The recommended buffer time to show up early is about 15 minutes. If you have not done the route before familiarise yourself with it on different occasions to gauge how long it takes including peak times. Showing up early is almost a given that employers expect nowadays. While no doubt determined to make a great impression remember to relax in order to optimise your productivity. Make sure you are well rested the night before and can maintain concentration. If you are adapting from an entirely different routine make sure you have condition yourself in the days preceding your first day. Set your alarm to your wake up time to condition yourself and see how you adjust. Eat a breakfast and set your outfit the night before. While these may seem very minimal they will all ease the stress involved and will help you towards a smooth first day. Be as professional as you were in the interview process and however in doubt you may be take the conservative approach. Your first day is not a time to establish yourself as the joker of the office or to describe your weekend social life. You will establish the culture of the company or office environment quite quickly and it’s important not to disrupt this. The urge to impress can veer you off track, but it’s important to remember that you’ve already been hired so you don’t have to wow your colleagues straight away. Your first day is not the time to have a strong and strident opinion, but more about listening, observing and learning. In time you will impress naturally, and more so when you understand the ropes.